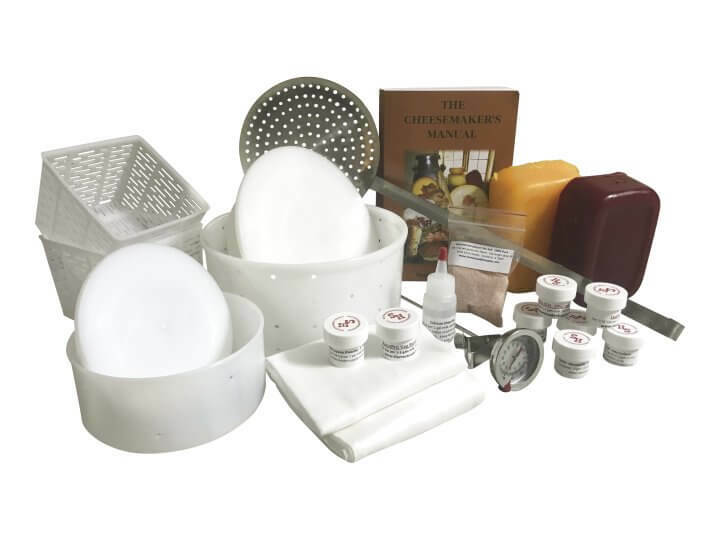 Our Supreme Cheesemaking Kit, also called our Super Kit, is for the serious beginner, or the experienced cheesemaker and is exclusively from Homesteader's Supply! It includes everything that is in our Starter Cheesemaking Kit, plus more! And our price for this kit is spectacular too. If you purchased all this equipment separate, you would pay about $225. We put it together and offer you a special deal 25% OFF Special Sale! PLUS Free Shipping to the lower 48 states! This kit is the real deal, all the supplies you need for making cheese just like the professionals, all products you will be able to use. And, who better to buy from than a company that does make cheese and will answer your questions! It includes all the cheese making products you will need to make a superb cheese from the soft like Cream cheese, Sour cream, Quark, Cottage cheese, Fromage blanc, Chevre frais, and even Cultured butter; to semi-soft like Brick, Jack, Colby, Farmers, Gouda, Havarti, to the harder cheeses like Mozarella, Parmesan, Cheddar, Edam, Gruyere, and Swiss. 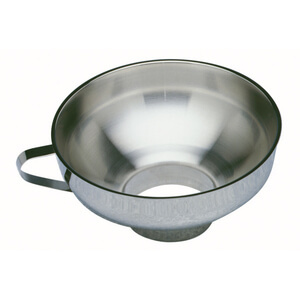 We provide a TOME Mold for you to mold up to a 3lb wheel of cheese from 3 gallons of milk. You can make some hard cheeses with this TOME mold, but nothing beats making your hard cheeses with a real cheese press. Check out our Ultimate Cheese Press which we manufacture right here in Tenessee. Support USA Made! If you do plan to make a specialty cheese like a Blue or Swiss, then you will want to add some ripening cultures to this kit. We have even included the wax for aging your cheese. Most important because cheese making really is a science as well as a culinary art is the best book, The Cheesemaker's Manual by Margaret Morris. At Homesteader's Supply we have used many of the books, but this one is great by far for an all around how-to, and why, and trouble-shooting. One Cheesemakers Thermometer - Long stem with large dial and clip! 2 lbs Food Grade Cheese Wax - Made in the USA! 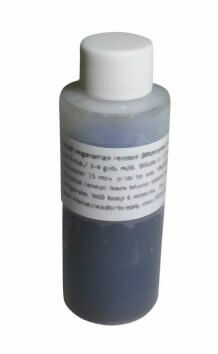 * Calcium Chloride 1 oz now added to all of our kits because many folks are using store-bought milk which is now ultra-pasteurized. Pasteurization blocks rennet from using milk calcium, needed to form milk curds.